Lusia Alps Ski Area | Moena | Bellamonte | Trentino | Dolomites | Get active in Val di Fassa and Val di Fiemme. 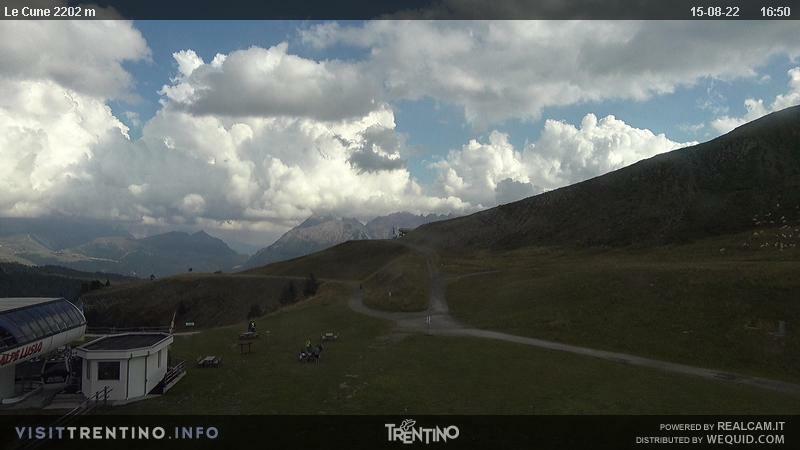 You are here Summer in Val di Fassa - Italy - Get active in Val di Fassa and Val di Fiemme. Get active in Val di Fassa and Val di Fiemme. The Val di Fassa and Val di Fiemme, in the area near Moena and Bellamonte, provide numerous opportunities for walks and excursions suitable for all levels, both in the lower valley and at altitude. Enjoy the holidays without worrying about the car. An efficient shuttle bus and public bus transport system guarantee all the connections you need to reach your destination in the Dolomites with ease. The Paneveggio Nature Park and the Pale di San Martino are particularly beautiful. The visitor centre in Paneveggio is only a few kilometres from Bellamonte and extends over an area of 197km2. It's is known as the “Forest of the Violins” thanks to the quality of its trees, once used by violin makers. A nature trail winds through the scenery with guided and illustrated observation posts, while a rich programme of excursions, guided tours and workshops provide the opportunity to get to know this natural paradise in more detail and to tune in to nature. The Legend Trek is a 200km excursion trail divided into 20 stages to discover the extraordinary beauty of the mountains which rise in the legendary Dolomites, through the Valleys of Fassa, Fiemme and San Martino. The Morea – Malga Bocche is an easy trail which starts from an altitude of almost 2000m from “La Morea” which is reached by the Cable car from Bellamonte-Castelir. The level path, 5km long, leads at the end to Malga Bocche in the centre of the wonderful Paneveggio Nature Park. Walking in complete freedom and safety in the shadow of the majestic Pale di San Martino has never been so beautiful!! The round trip takes about 3 hours.